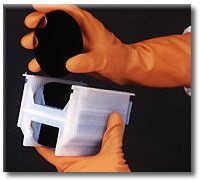 Latex Rubber is the most basic polymer material produced today and it is still used in most applications because of its strength and low cost. Recently, many groups have started to use synthetic rubber polymer substitutes, such as Neoprene, Nitrile, and Butadyl, because of the frequency of human allergic reactions to natural latex. is often black, beige, or orange in color. 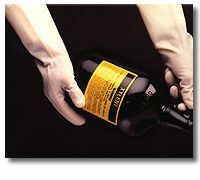 Neoprene (polychloroprene) was first developed in the 1930s as an oil-resistant substitute for natural latex rubber and was the first commercially available synthetic elastomer. Because of its strong physical properties, it is widely used in manufacturing and R&D facilities worldwide. is often black in color. Butadyl, which is a carboxylated acrylonitrile butadiene rubber with polymer additives, was recently developed to serve as a cost-efficient replacement for products made of Hypalon® (csm) and Neoprene. For updated product numbers and pricing, or to talk about your specific Latex, Neoprene, Nitrile, or Butadyl needs, please contact Renco at (978) 526-8494 or (800) 257-8284 toll-free. You can also email us at info@glovemen.com. Hypalon® is a registered trademark of DuPont Dow Elastomers.